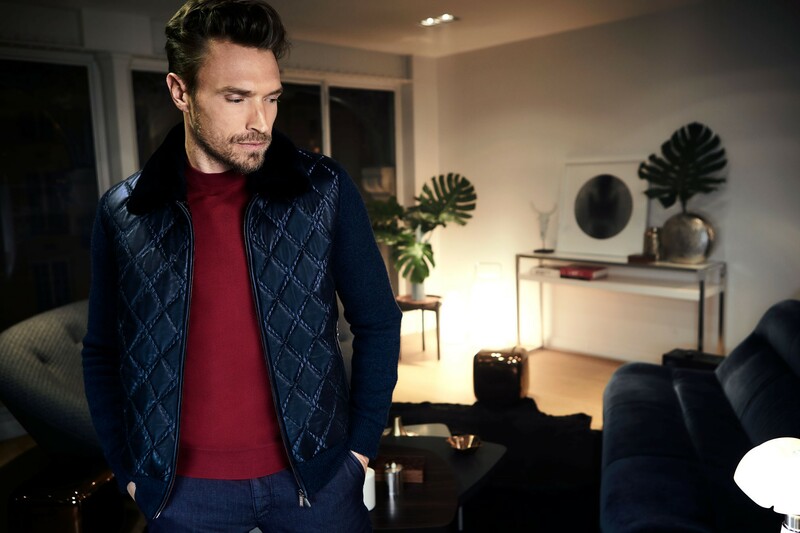 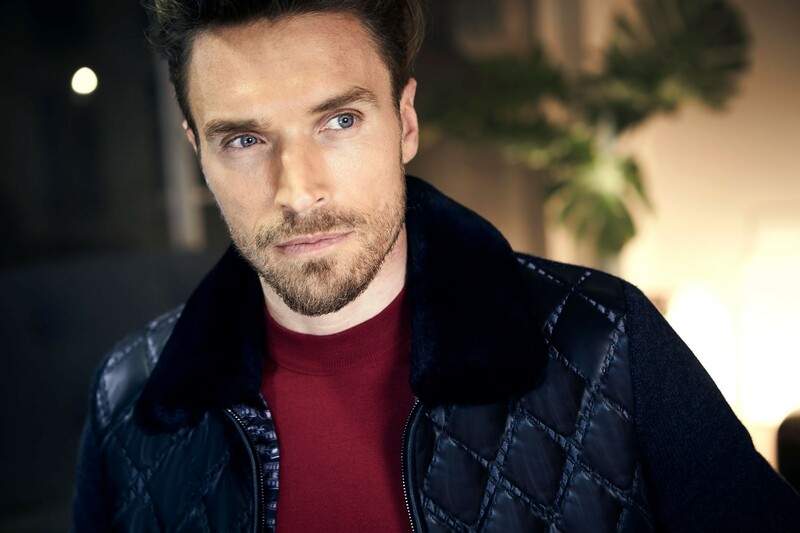 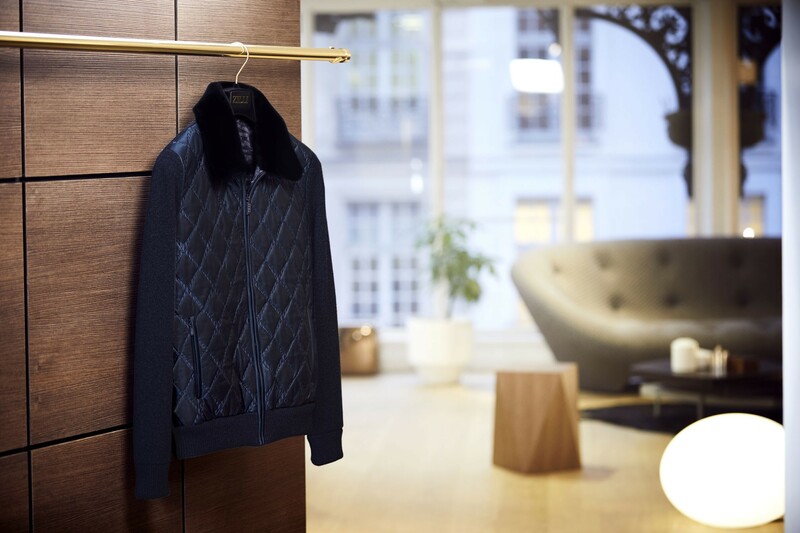 An important piece in this winter’s urban wardrobe, the cashmere knit bomber jacket is sublimed with quilted navy lambskin and with “Diamond” pattern stitching on the front. 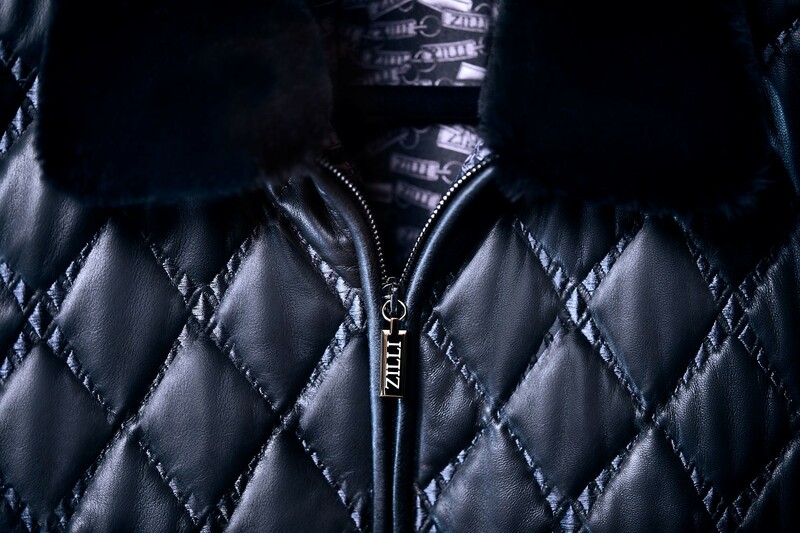 Sporting a lambskin and beaver fur collar, printed silk lining and a two-way zipper with a solid brass ingot zip with a ruthenium finish, it is extremely comfortable and confirms a must Sport Chic look. 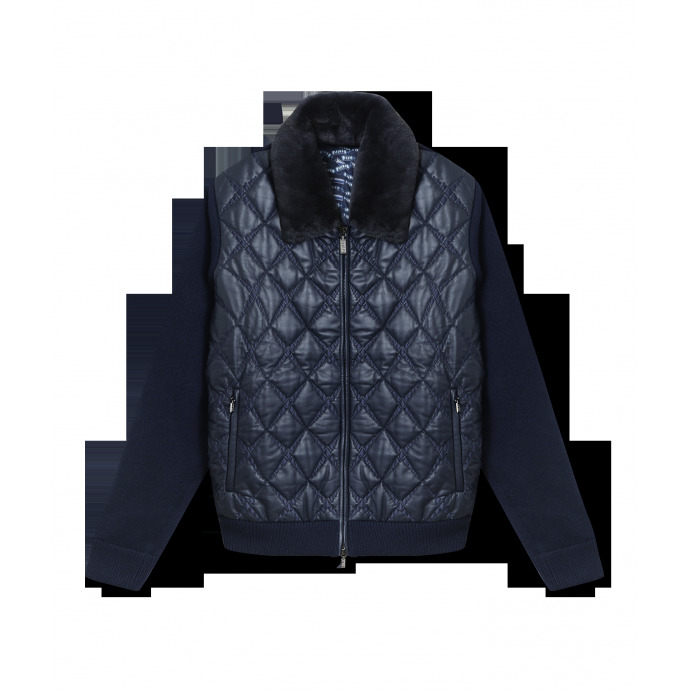 "name" => "Knitted and leather bomber"
"description" => "<p>An important piece in this winter’s urban wardrobe, the cashmere knit bomber jacket is sublimed with quilted navy lambskin and with “Diamond” pattern stitching on the front. 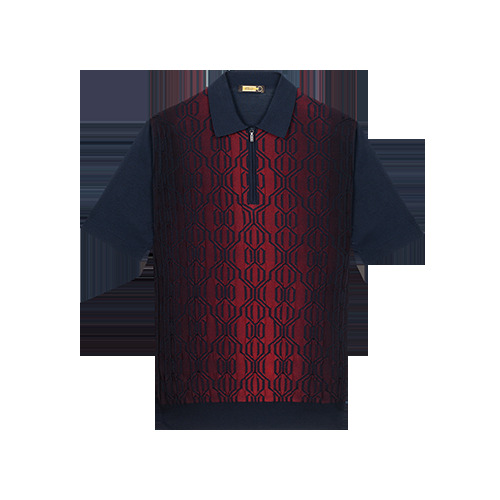 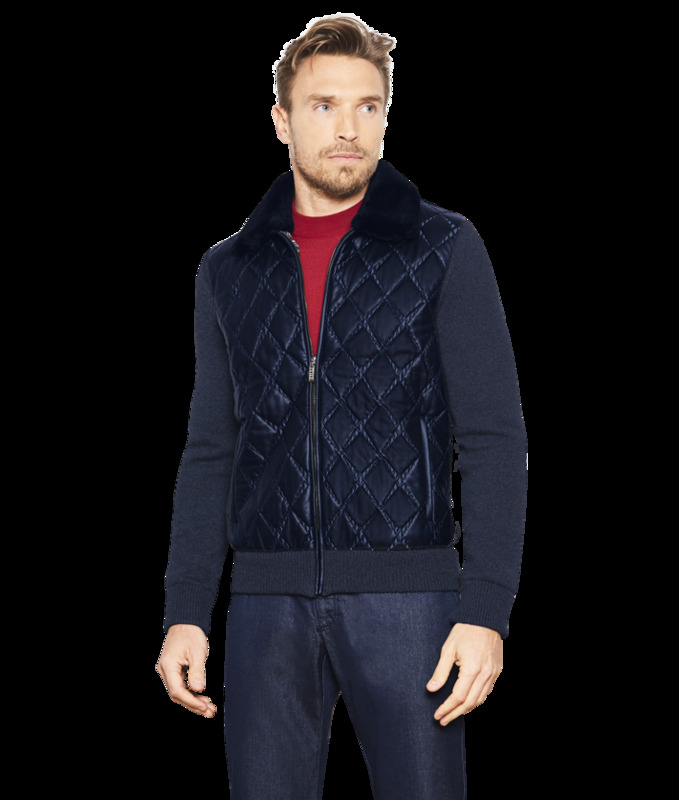 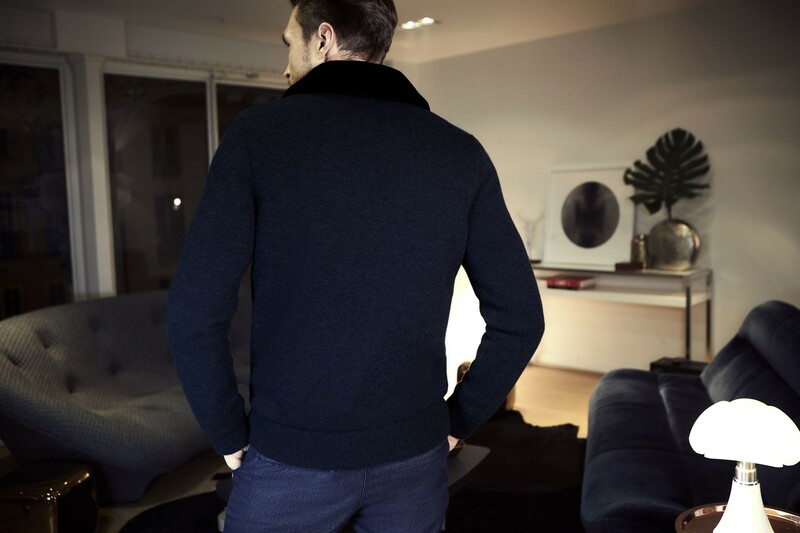 Sporting a lambskin and beaver fur collar, printed silk lining and a two-way zipper with a solid brass ingot zip with a ruthenium finish, it is extremely comfortable and confirms a must Sport Chic look.</p>"
"description_short" => "<p>In cashmere knit and navy quilted lambskin </p>"
"tab1_content" => "<p>Made in Italy</p>"
"category_name" => "Coats & Blousons"
"availability_message" => "Product available with different options"